An associate degree is a two-year undergraduate program completed after a high school diploma or GED for professional training. In the communication sciences and disorders major, an associate provides a springboard for transferring into a bachelor’s program. Requirements vary by state, but an associate degree generally will qualify you for becoming a speech-language pathology assistant too. Speech-Language Pathology Assistants work under speech pathologists to facilitate clients’ treatment for communication or swallowing problems. According to PayScale, speech-language pathology assistants earn a median yearly salary of $38,980. Income potential rises steadily with each degree level obtained. If you want to sharpen your clinical knowledge and skills before a bachelor’s, below we’ve listed the Top 10 Communication Sciences and Disorders Associate Degree Programs. To form our ranking, we used primarily the National Center for Education Statistics’ College Navigator tool. Here we filtered two-year and four-year colleges in the United States offering associate degrees for communication sciences and disorders or speech-language pathology. Results were narrowed down by researching each individual school. Extra points were given to institutions with national rankings, such as U.S. News and World Report, Forbes, or Washington Monthly. Every associate program had to be regionally accredited and fully transferable to four-year colleges with junior standing. Preference was given to degrees featuring field practicum for resume-building experience. Other factors considered were tuition, financial aid, student-faculty ratio, breadth of study, and placement rates. For aspiring speech-language pathologists, earning an associate degree after graduation could be an excellent first step. Associate programs offer the opportunity to satisfy general education core courses while paying lower tuition. Two-year colleges charge an average tuition of just $3,435! Many also argue that associate degrees pave a smoother transition into baccalaureate study. In fact, Community College Daily reported that associate degree holders are 49 percent more likely to finish a bachelor’s. 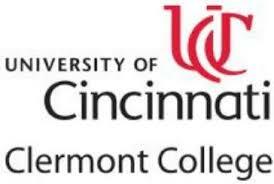 Enrolling around 3,100 students, the University of Cincinnati-Clermont College is a public, regional extension center of Ohio’s second largest research institution. Since 1972, Clermont’s 91-acre suburban campus in Batavia has offered over 35 associate’s degrees. Within the Science & Health Department, there’s a two-year Associate of Science in Pre-Communication Sciences and Disorders offered. The open enrollment program limits lab courses to 20 students for individualized learning. Graduates can seamlessly transfer to the University of Cincinnati, America’s 140th Best College according to the U.S. News and World Report. Learn more about the University of Cinnicinati – Clermont College’s Communication Sciences and Disorders Associate Degrees here. Founded by the Sisters of St. Joseph in 1928, Elms College is a private, non-profit Catholic liberal arts institution enrolling approximately 1,200 students on its 27-acre urban campus in Chicopee, Massachusetts. Offering 33 academic majors, Elms is currently named the North’s 23rd Best College and 10th Top Value by the U.S. News and World Report. The Communication Sciences and Disorders Division grants an A.A. in Speech-Language Pathology Assistant (SLPA). Requiring 69 credits, this two-year program includes two clinical practica rehabilitating language disorders. Over 97 percent of graduates transfer to top schools like BU and Gallaudet. Learn more about Elms College’s Communication Sciences and Disorders Associate Degrees here. Featuring over 50 accredited programs, Santa Fe College is a public, state-funded higher education institution serving over 15,800 students from its main 175-acre urban campus in Gainesville, Florida. 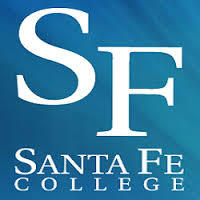 In 2015, Santa Fe was ranked #1 nationwide with the Aspen Prize for Community College Excellence. Grounded in liberal arts, the A.A. Communication Sciences & Disorders program studies the strategies for diagnosing and treating speech problems. The 60-credit curriculum prepares students for junior-level transfer to the University of Florida. Select courses are available in Starke, Alachua, and Archer too. Learn more about Santa Fe College’s Communication Sciences and Disorders Associate Degrees here. Headquartered in Concord, New Hampshire, Granite State College is a multi-campus and online public, state-assisted teaching institution founded in 1972. Ranked #1 in New England by Washington Monthly, Granite State also has America’s Best Online Undergraduate Programs according to the U.S. News and World Report. The School of Education awards a Communication Sciences and Disorders (A.S.) degree with supervised field experience. Whether taken online or at 11 statewide centers, students satisfy certification requirements for speech-language pathology assisting. Coursework in the six-term curriculum offers a student-faculty ratio of 13:1. 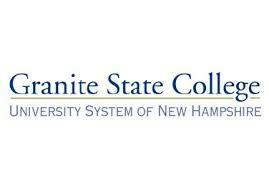 Learn more about Granite State’s Communication Sciences and Disorders Associate Degrees here. 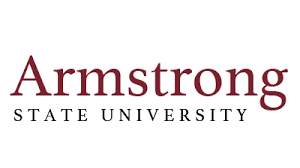 Established in 1935 by Mayor Thomas Gamble, Armstrong State University is a four-year, public institution sitting proudly atop a 268-acre suburban campus in Savannah, Georgia, just 25 miles from Tybee Island. Educating over 7,000 students, Armstrong grants over 100 regionally accredited programs with in-state tuition for Georgia, Florida, South Carolina, and Alabama. The Department for Rehabilitation Sciences has an Associate of Science track for Communication Sciences and Disorders. This 63-credit program spans four semesters full-time to lay the foundation for future speech-language pathology study. Learn more about Armstrong State University’s Communication Sciences and Disorders Associate Degrees here. As the Florida College System’s eighth largest public institution, Seminole State College registers over 32,700 students yearly on its main 40-acre urban campus in Sanford. Endowed for $24.6 million, Seminole State ranked 15th Nationally in Community College Week for associate degrees conferred. Among the college’s 190 programs is an Associate of Arts in Communication Sciences and Disorders. The 60-credit, transfer-oriented degree includes courses from biology to psychology and humanities. Each student is assigned a “Success Specialist” to fulfill prerequisites for the University of Central Florida. Learn more about Seminole State College’s Communication Sciences and Disorders Associate Degrees here. With a high freshmen retention rate of 70 percent, the College of DuPage is a two-year, public junior college serving over 29,000 students in District 502 from a 273-acre suburban campus in Glen Ellyn, Illinois. 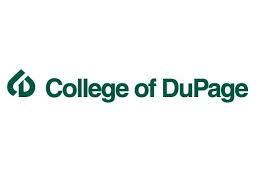 As the state’s second largest education provider, DuPage offers more than 50 associate degree options. One notable program is the Associate in Applied Science (A.A.S.) in Speech-Language Pathology Assistant. Since 1999, this 64-credit curriculum surveys communication sciences and disorders to satisfy licensing. Students complete two, eight-week rotations for 300 clinical hours. Learn more about the College of DuPage’s Communication Sciences and Disorders Associate Degrees here. First opened in 1958 by First Christian Church, Prairie State College is a two-year, public technical college enrolling more than 12,000 students from its 123 suburban acres in Chicago Heights. According to CNN Money, PSC is among Illinois’ Top 25 Community College Values with $3,432 in-state tuition. With daytime, evening, or weekend courses, the Associate of Arts in Communication Disorders is available. The 62-credit, pre-professional program unlocks transfer for ASHA-accredited bachelor’s degrees. Coursework taps into psychology, child development, health science, sign language, linguistics, and more. Learn more about Prairie State College’s Communication Sciences and Disorders Associate Degrees here. 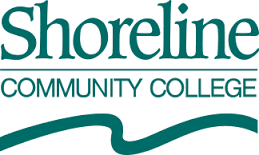 Located on a 83-acre, waterfront campus in Shoreview Park just 10 miles from Seattle, Washington, Shoreline Community College is a public, two-year institution educating over 13,700 students. SCC was ranked the 18th Best Value Community College in 2016 with a median mid-career salary of $54,000 according to PayScale. SCC grants a 90-credit Associate in Arts degree in Speech & Hearing Sciences. Transfer agreements exist with Eastern Washington, Washington State, and University of Washington. Areas of study will include phonetics, physiology, communication disorders, bilingualism, and language development. Learn more about Shoreline Community College’s Communication Sciences and Disorders Associate Degrees here. 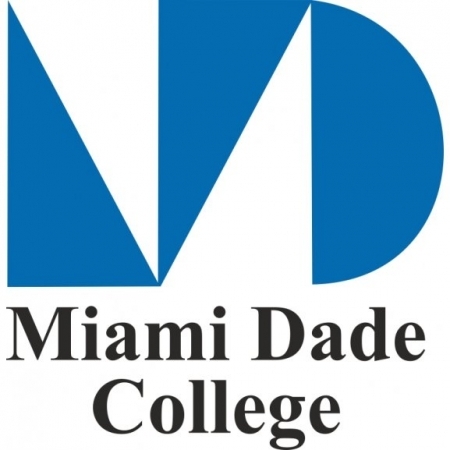 Endowed for $306 million, Miami Dade College is a large public, eight-campus community college established five decades ago in “Magic City.” As Florida’s largest educator, MDC has received the Advancing Diversity Award for educating over 165,000 students speaking over 90 native languages. Among Miami Dade College’s 300+ degrees is a two-year Associate in Arts for Speech Pathology and Audiology. Consisting of 60 credits, this pathway program guarantees admission into one of Florida’s four-year colleges. Miami Dade College’s overall success rate is 89 percent for full-time students. Learn more about Miami Dade College’s Communication Sciences and Disorders Associate Degrees here. This entry was posted in University Rankings on July 12, 2016 by tjentz.